Come and see us in Springfield, Missouri! 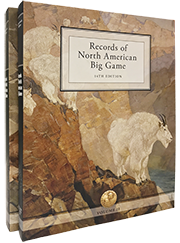 Wednesday, April 17, 2019 - Boone and Crockett Club's first book on wildlife law and policy development - North American Wildlife Policy and Law - has been awarded two Gold winners and one Silver winner for the 31st Independent Book Publishers Association (IBPA) Benjamin Franklin Awards program. The book has also been selected as a finalist for the 2018 INDIES Book of the Year Awards. The prestigious IBPA Benjamin Franklin Awards recognize excellence and innovation in independent publishing and demands both editorial and design distinction. North American Wildlife Policy and Law won Gold for the Nature & Environment category, Gold for the Reference category and Silver for the Professional & Technical category. 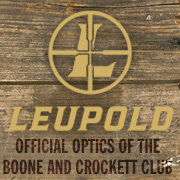 Does the Boone and Crockett Club have a position statement about Climate Change?